From there, we can begin to speculate on how the Justice League could be formed and who would become a member. The newest rumors circulating from San Diego Comic-Con (SDCC) have given us some juicy details to dissect, in regards to the superhero universe being built by The CW network. From what began with Arrow has expanded on to two other DC'TV series, not including Supergirl which also moved to The CW recently. Along with Supergirl joining the ranks of The Flash and Arrow on The CW, the newest rumors based around Supergirl may be hinting at a collective DC'TV universe uniting the three separate series. That's not to say there isn't a collective universe already established on The CW, but the connectivity between each respective series has been minimal at best. And we can exclude Legends of Tomorrow from the collective tv universe as that series stands outside the continuity of The Flash and Arrow; only the conclusion of Legends of Tomorrow will have any effect on The Flash or Arrow as the legends return to their appropriate time. But as for the rest of the DC'TV universe, the latest news of Supergirl introducing some noteworthy individuals in Season 2 could be hinting at an even bigger crossover event that no one will see coming. I'm talking about the formation of the Justice League. Now it may seem too early to talk about forming the Justice League, but the current roster of heroes between The Flash, Arrow, and Supergirl have a good portion of the league already in place to join together. And we can't fail to mention the many connective threads which are establishing concrete links between characters of the Flash and Arrow-mythos to the other sub-genres of DC' Comics. By which I mean the Batman anthology of characters and associated individuals within DC' Comics. We've already witnessed multiple villains of Batman's universe become prominent antagonists on Arrow. Along with more Batman-centric characters set to debut in Season 2 of Supergirl, with that we have all the elements necessary to add a Batman-esque individual to the potential formation of the Justice League on The CW. From there, we can begin to speculate on how the Justice League could be formed and who would become a member. For starters, we can place Oliver Queen a.k.a. 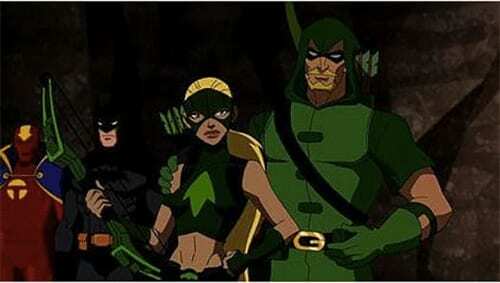 Green Arrow as the individual responsible for putting the Justice League together. As far as we know, Arrow is going to continue past Season 5 but if the series does end with Season 5, Oliver Queen (Stephen Amell) may not be done as the Green Arrow just yet. Stephen Amell may be taking the reins of another DC'TV series as he unites the Justice League. It's possible that the introduction of Artemis in Season 5 will start diverting the focus of Arrow from Oliver Queen over to other heroes who could also go on to form a team of their own, possibly the Teen Titans or an iteration of the team from Young Justice in Season 6 of Arrow. Anything is possible, and the most plausible route would be to fade Oliver Queen out of Arrow as his protege, Artemis begins to take center stage. Setting up Artemis as the new defender of Star City would be great for the series but it would also leave a vacancy for notable heroes to stand beside her. Artemis won't be able to do everything on her own so she's going to require help from some other young superheroes to keep Star City safe. Therein lies what Arrow and The Flash have been building up to in the background of their respective series. In the scenario that Oliver Queen (Stephen Amell) does leave Star City and Artemis is left as the sole protector of the city, she's going to be in over her head with all the crime and villainy that can spark up within Star City. But to counteract all the criminals of Star City working against her, Artemis could have another unseen hero backing her up. That hero could be Curtis Holt, otherwise known as Mister Terrific in DC' Comics. Curtis hasn't had an opportunity to show off many heroic feats but his civilian persona has been thoroughly fleshed out throughout Season 4 of Arrow,yet his character is still lacking the heroic prominence that we expect to come in time. Curtis' character arc must be building up to something past being Felicity Smoak's assistant. His only duties on Arrow have been to assist Team Arrow on occasion and he hasn't done anything to hint at his future transformation into Mister Terrific. 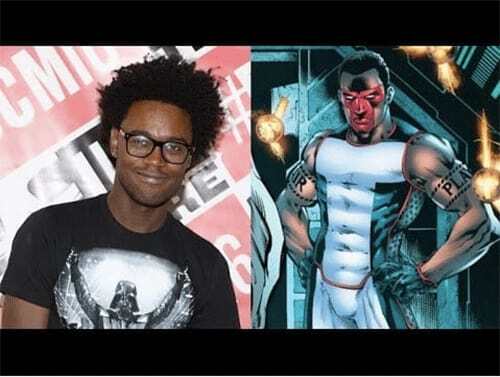 However, Season 5 of Arrow could place the spotlight on Curtis Holt as he becomes Mister Terrific for his future adventures as a member of the Teen Titans. Or in the likelier scenario of Oliver Queen leaving Star CIty in the hands of his protege Artemis, Curtis Holt may be forced into the direction of his superhero persona of Mister Terrific in order to help Artemis defend Star City, starting in Season 5 of Arrow. Curtis is no longer working for Palmer Tech and Echo Kellum has just been cast as a series regular in Season 5 of Arrow which means that Curtis Holt will have a larger role than last season and he may be the optimal replacement for the void left by Felicity and John Diggle. The Green Arrow and Artemis will only be able to do so much, there going to need backup and Curtis Holt or rather Mister Terrific may just be the backup they need. All those events could plausibly take place during Season 6 of Arrow if Oliver Queen is placed in a consultant position while he's busy with potential Justice League duties on another CW series. But as for Curtis Holt's future as Mister Terrific, the inclusion of Artemis on Arrow and Kid Flash on The Flash is all but teasing a Teen Titans formation that sees Mister Terrific becoming a member of the team alongside them. Mister Terrific hasn't been a titan in any iteration of the team within DC' Comics but his place on the team could fill in the vacancy of someone like Cyborg who has been a member of the Teen Titans on multiple occasions. It was announced recently that Tyler Hoechlin of Teen Wolf fame will be portraying Clark Kent a.k.a. Superman in the upcoming season of Supergirl. Along with Hoechlin in the role of Superman, his role on the series may not be very substantial. Hoechlin is currently only scheduled to make appearances in two episodes of Supergirl so far but he can still make recurring visits to the series in upcoming episodes. 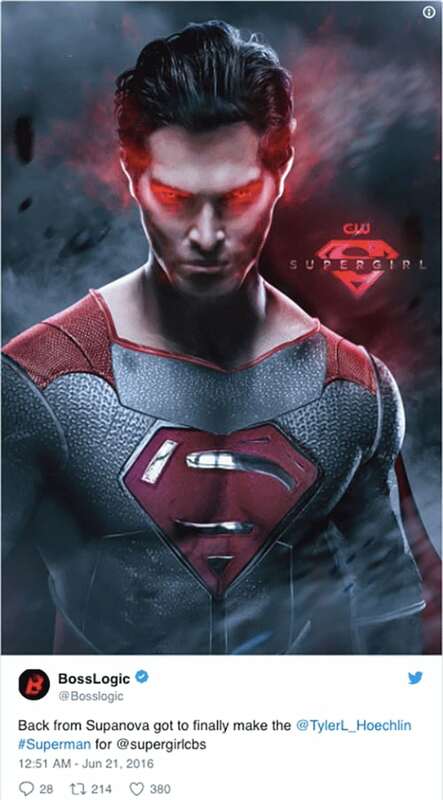 However, if the element of Superman is only meant to make his presence known in the background of Supergirl, then Superman (Tyler Hoechlin) could be utilized on another DC'TV series; yet to be determined. We've yet to see Tyler Hoechlin as Clark Kent or Superman on Supergirl but if his portrayal is believable within the realm of the DC'TV universe, it's possible that Hoechlin may land himself in a starring role on another DC' television series. Although, that series could be one that has yet to be announced - speculative, of course. Hank Henshaw currently resides as the director of the D.E.O. on Supergirl. His role on Supergirl has fit perfectly within the context of the story but it may be time for Martian Manhunter to move on to bigger and bolder things. Those bigger things may come in the form of a potential Justice League television series. With Tyler Hoechlin portraying Clark Kent a.k.a. Superman on Supergirl as well, we have two long-standing members of the Justice League assembled on the same series. Then accounting for the Flash and Green Arrow, that's a good portion of the Justice League ready to be assembled. It would be logical for Martian Manhunter to transition from Supergirl over to a series that has room to focus on the exploits of Hank Henshaw a.k.a. Martian Manhunter. Departing from Supergirl would also give Kara Danvers more room to explore her character and allow her to shine as a hero who doesn't need a safety net protecting her. In reality, the existence of Superman and Martian Manhunter in the universe of Supergirl makes everything Kara does irrelevant. If anything ever goes wrong, Superman or Manhunter can step in to protect Kara. But in the scenario that both Superman and Martian Manhunter are called upon to become prominent members of the Justice League, Kara Danvers a.k.a. Supergirl would actually make an impact on the world as she'd be the residing superhero of her part of the world. Making the departure of Martian Manhunter from Supergirl a perfect transition for his character to a potential Justice League spin-off series. Then there's Batwoman. No confirmation has been made on whether or not Batwoman will have a role on Supergirl, but recent rumors suspect that Kate Kane a.k.a. Batwoman will make occasional appearance on Supergirl, alongside Barbara Gordon a.k.a. Oracle. Both these Batman-centric characters have been rumored to have upcoming appearances in Season 2 of Supergirl. That may come to be or we can take this rumor with a grain of salt. Until more information is released in regards to Season 2 of Supergirl, we won't know if Batwoman or Oracle will have a presence on the series. It's possible that the rumor will be proved or debunked at this year's San Diego Comic-Con (SDCC). And in the circumstance that this rumor does prove to be true, we can safely conclude that Batman's universe exists within Supergirl. Adding Batwoman and Oracle to the cast of Supergirl could also land them on the roster of a potential Justice League television series. League, Batwoman could plausibly be inducted into the Justice League despite being seen as an uncontrollable vigilante. If the situation arises wherein the Justice League is needed and Batwoman is one of the only vigilantes willing to stand on the side of heroism, it wouldn't be out of the realm of possibility for Batwoman to become a member. Even without Batwoman being a viable member for the Justice League, her existence in the world of Supergirl implies that Bruce Wayne a.k.a. Batman also exists alongside Supergirl, Superman, and Martian Manhunter. The inclusion of Batwoman will inadvertently place Batman in the running to appear as a member of the Justice League if a new television series is designated for the exploits of the league. Barry Allen (Grant Gustin) has become the leading man on The Flash television series and he's done quite well in his portrayal of the character. Going into Season 3, Barry Allen will lose his powers once again. All the while, finding himself in the Flashpoint universe wherein nothing is the same anymore. Within the Flashpoint universe, we also have the confirmed addition of Wally West as Kid Flash. And accounting for Barry Allen losing his powers, resulting in his departure from being the Flash, Kid Flash could take the center spotlight as the speedster hero of Central City. But regardless of what happens in the Flashpoint universe, it won't affect the "correct" timeline of events on The Flash in the back half of Season 3. When Barry Allen returns to his time, it'll be after his exploits in Flashpoint have successfully sent him back to his time. But noting that Barry Allen's time in the Flashpoint universe will enlighten him on the inner-workings of a universe that could have happened but didn't, Barry may return to his time with information that'll lead to some of the events he witnessed in Flashpoint coming to be in his own universe; more specifically, the transformation of Wally West into Kid Flash. In the scenario that Kid Flash does become a permanent member of Team Flash, Barry Allen could have time to focus his efforts as a member of the aforementioned Justice League. Despite no actual confirmation of the Justice League ever coming to be in the current DC'TV universe, there may already be some indication that the Justice League will be formed on The CW network. Along with the progression of all the DC'TV series becoming equal parts of one collective universe, the next logical place for the DC'TV universe to expand unto would be a television series that follows the exploits of the Justice League. And accounting for all the recent casting news of titular members of the Justice League becoming prominent characters on Supergirl, that's a good portion of the league ready to be assembled. Along with several key members of the Justice League already being present on Arrow and The Flash, there are more than enough known members of the Justice League present within the DC'TV universe to form the Justice League on a brand new television series. The prospect of a Justice League television series sounds very intriguing but it may never come to be if the characterization of Martian Manhunter and Superman are limited in their scope, as to not effect the going-ons of the Supergirl universe. However, the best case scenario would see Season 5 of Arrow conclude with Oliver Queen taking on the responsibility of forming the Justice League, while his protege Artemis takes on the role of protector of Star City. Nothing will be affirmed until the full coverage of (SDCC) is released, and information on Season 2 of Supergirl is readily available. Until then, we can continue to speculate on how Superman, Martian Manhunter, the Flash, Green Arrow could potentially form the Justice League on a soon-to-be announced television series. The CW has already expanded their line-up of DC'TV series from Arrow to The Flash and Legends Of Tomorrow, who's to say another series won't be announced in the coming months; maybe even at this month's (SDCC). What do you think? Should a Justice League television series be the next addition to the DC'TV universe? Or should the Justice League be formed on Arrow or The Flash, or maybe even Supergirl? The best possible crossover event could see the heroes of all three separate television series uniting to battle a common foe. That event would be the perfect lead-in to a Justice League television series if one were ever to be announced. Read next: Happy Birthday Jason Voorhees - 13 Of His Best Pop Culture Pop-Ups!